Seoul: South Korea’s parliament approved a 342 trillion won ($319.45 billion) government spending plan for 2013 in the early hours of Tuesday, after disagreement between the two major parties pushed talks past a notional midnight deadline. The budget is a marginal reduction from the 342.5 trillion won plan initially submitted by the government in September, but still represents a 5.1 per cent increase on the 2012 spending plan. Legislators in the ruling conservative Saenuri Party and the opposition Democratic United Party (DUP) sparred over appropriations for the construction of a controversial naval base in Jeju Island as the budget committee was making its final deliberations. As a result, lawmakers could not vote on the bill in time to ratify the budget on Monday. This month’s presidential election had held up progress in the negotiations, and local media said it was the first time parliament had failed to set the budget before the beginning of the fiscal year on Jan. 1. The spending plan will in large part be executed by the incoming administration of Park Geun-hye, a Saenuri Party member who will be sworn in as president in late February. The revised budget allocates 28.5 per cent of total spending to health, welfare and labour, up marginally from the government’s initial proposal and reflecting campaign promises made by Park. The official fiscal deficit is projected to narrow to 0.3 per cent of gross domestic product in 2013 from a projected 1.1 per cent deficit in 2012 as initially planned. 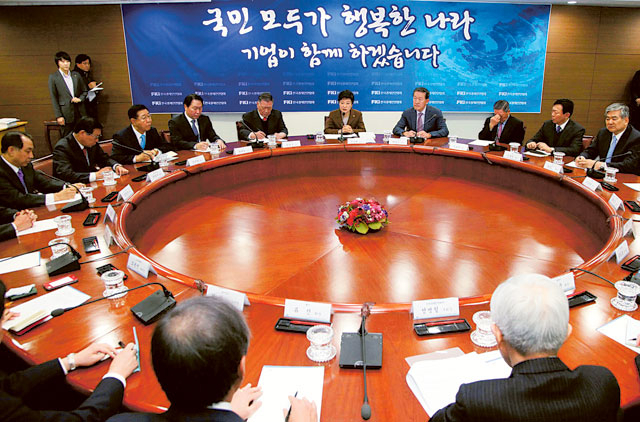 The Saenuri Party initially sought up to 6 trillion won to meet campaign pledges but relented amid government concerns about deficit spending. Analysts say the incoming administration may seek to draft an extra budget in a bid to support the weak economy and to fund at least some of the campaign pledges that have not been reflected in the ratified budget. This may require deficit spending funded by additional debt sales. The finance ministry in late December said it was aiming for 3.0 per cent GDP growth this year, which would mark a modest improvement from a projected 2.1 percent growth for 2012. The government plans to spend 60 per cent of the budget during the first half of this year in order to support growth. It expects growth to pick up modestly in the second half of 2013.